While out for a ride from South Manchester in to Cheshire I stumbled upon Blaze Hill near Bollington. 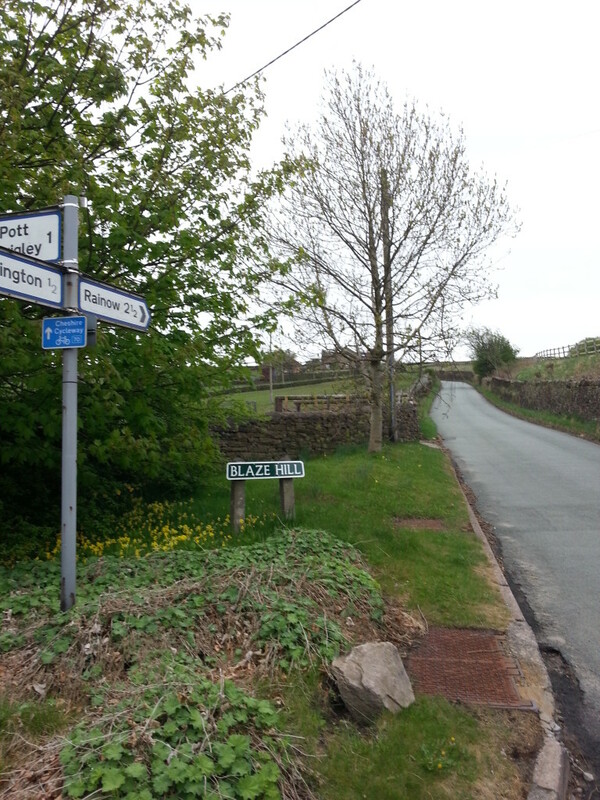 I had decided to head south and pick up the Cheshire Cycleway then complete a circuit of Macclesfield and then home. Not knowing this area I was not familiar with the route but I have heard of Blaze Hill and now I have conquered it. The hill starts on the edge of Bollington and heads up towards the B5470. It is not for the faint hearted and it is an ideal hill to test both your endurance and your hill climbing skills. I found it hard going but rewarding when I finally reached the top although the heavens did open half way up the climb which made it a rather wet and miserable ride. Another thing that put a dampener on the climb was a slight mix up with my clipless pedals. Blaze hill is steep and I lost momentum only to find myself in a heap, thankfully only my pride was hurt. Blaze Hill is on the Eastern part of the Cheshire Cycleway which is route number 70. 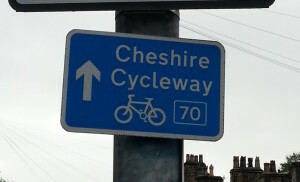 The Cheshire cycleway is a cycle route that takes in most of Cheshire on country roads. This signposted route stretches almost 176 miles and offers a varied mix of terrain. I would recommend a ride to Blaze Hill to test your hill climbing ability and maybe to pit your wits against your cycling chums in a race to the top. Why not let Enjoy Cycling know how your ride up Blaze Hill goes and remember what goes up must come down so enjoy the downhill you have earnt it.